With over 10 year’s experience in the industry we are proud to offer our services. We are a private family business who you can trust. We offer quality workmanship, reliability, customer care and a quality service at competitive prices. This really does set us apart from others in this industry. 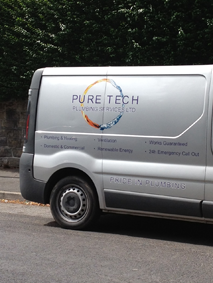 At Pure Tech Plumbing we believe in tidy workmanship. We make sure all our works are methodically carried out with neat pipe work and cleanliness throughout. Please see the Testimonials page for feedback from our customers. Call our friendly team today so we can assist you in your enquiry. Don't just take our word for it. We asked both our Domestic and Commercial customers what they thought of us. Thanks to all our customers, we appreciate all your feedback.